The annual Hill and Dales hill running jamboree starts next week. To wet your appetite we have reproduced the preview first posted by the host club – Newcastle AC. Is Annett too hot to handle in 2013? Thursday 11th April sees the return of the ever-popular Newcastle AC Hill & Dale Series. Now, incredibly, in its 25th year the series continues to grow and is more appealing than ever to runners of all abilities. The most encouraging fact is the increase in female competitors in recent years. Last year the series broke all records in terms of the number of competitors, the numbers completing the series and the quality of bitter invective bestowed upon the athletes at the start of the races by the organisers (too many to quantify and generally too coarse to print!). The eleven race series, stretching until Friday 28th June returns with the traditional opener, the recently re-branded ‘Wells Classic’ in Castlewellan. This 5.5 mile race takes in 1080 feet of climbing before finishing by the wall of Castlewellan Castle. Picking a winner in this race is always difficult and in recent years there have been a few surprises, most notably when Noel Collins, a talented junior from Omagh, defined excellence in storming to a memorable win. 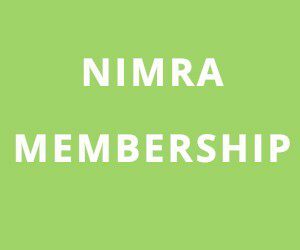 Last year, it was Jonny ‘the Steede’ Steede, who, on the back of some very good early season in NIMRA races, was an impressive winner. Traditionally the series winner does not emerge too early and this race is an ideal opportunity for an athlete with a bit of leg speed from early season 10k races to claim a moment of glory in the ‘hills’. Steede proved that his victory was no fluke as he was equally impressive the following week and claimed a well-deserved second race win. Regrettably injury prevented him from having a real tilt at the title and as the open mountain races came thick and fast, it was the highly talented Annett who proved to be the real tour de force. It is now tradition for me to try and pick a winner of this race. To date I have never even been close to getting it right. My tip for 2011 was Jonny ‘the Steede’ Steede from Ballymena AC who did not even take part in the race, leaving me red faced again. Last year I stuck my head out again tipping young Andrew Annett of Mourne as my winner. Annett was a gallant third behind Steede, who for some reason had slipped of my radar! This year I am playing safe and predicting a comfortable win for Allan Bogle of City of Derry. He is an athlete who has shown good form recently and should have the leg speed to see off his rivals, barring of course the pundits curse!!! 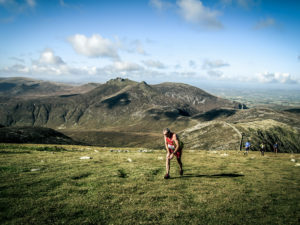 Recent series’ have been dominated by Mourne Runners. Eddie Hanna was convincingly triumphant in 2009, Stevie Cunningham was deftly dominant in 2010 and Des Woods reigned supreme in 2011. Carrying on the mantle of such distinguished athletes is not easy, but it rested well on the shoulders of AndrewAnnett, who in becoming the youngest series winner ever, recorded a fourth consecutive titles by four different Mourne Runners – a wonderful achievement for the club. Mourne’s hopes of a fifth successive winner are probably resting on these young shoulders once again, though Cunningham has demonstrated a return of form and his career could enjoy a renaissance in 2013. The 2011 Hill and Dale saw seven different men win races: Annett was the most successful, claiming the six wins needed to make him outright and undisputed champion. Outside of that Jonny Steede had two wins, while Stephen Cunningham, David O’Flaherty and Allan Bogle each claimed one victory. The most notable victory was that of all round Hill & Dale legend Robbie Bryson, who as a V50 showed the rest of the field a clean pair of studs as he scampered to the top of Binnian unopposed in a rare race appearance. One wonders if there will be enough talent in 2013 to seriously challenge Annett. If he is fit and healthy then the series is his to lose. If for some unexpected reason he is unable to complete the series then it will be the most open in years, with any one of 10 athletes capable of winning it. Last year the ladies series was in direct contrast to 2011 when Shileen O’Kane had the trophy in the bag after 6 of the 11 races. In 2012 Ciara Largey returned to competing regularly and despite a good rear-guard action from O’Kane, Largey claimed the title by winning race 10. This was akin to 2010 when Karen Alexander did not secure her title until the last night of the series in the closest finish for many years. In stark contrast to the male event, the 2012 ladies, based on 2011 form, could already be a foregone conclusion. Will Largey enjoy the same dominance again this year and will the competition she faces run her close? Can Newcastle mount a serious challenge? At the tender age of 50, the evergreen McNeilly looks as likely as ever to be up there with the elite and is perhaps still Newcastle’s safest bet in the mountains. The legs show no visible signs of letting up as he continues to compete at the highest levels, long after many of his previous challengers have stopped racing. A man of this calibre can never be ruled out in any race and McNeilly still has the veracious appetite that is needed to compete at this level. This desire will surely be fuelled further by the fact that he did not win a race in either the 2010, 2011 or 2012 series’ and he will be as determined as ever to lay that ghost to rest and extend his record of Hill and Dale race victories, especially in light of the fact that Bryson has won a race as a V50! Two new Newcastle names cannot be discounted. Seamus Lynch, a recent signing from Rathfriland is a tremendous prospect and should not be discounted. He has already been over the Monument course two dozen times with ‘Hen’ – only problem is that there is no monument race this year! Ian Bailey is another superb athlete who is full of running and his outstanding climbing ability will leave him close to the leaders in every race. McCrickard and O’Flaherty were also well placed in the overall standings last year and while the latter should perform better on the forest trails the former is a great man on the rough conditions that characterise the races in the second half of the series. Fresh from the world of race organising at Leitrim and buoyed by his recent innovative training methods, Brendan Quail is another Newcastle athlete who has the potential to do very well. The same could be said of David Steele, who continues to grow in strength and has a fantastic turn of speed. While it would hard to bet against a Mourne Runners champion in 2013, there are some seasoned campaigners who have the potential to cause an upset. Neil Carty, the perennial bridesmaid, can never be written off, though like many of us age is no longer his friend. There will also be fierce rivalries renewed in the veteran categories: most notable of these will be the V-45 category where the aforementioned McCrickard, Dale Mathers, Audey McVeigh and Gerry Kenny will be battling to secure the void left by McNeilly’s elevation to the V50 ranks. There should also be a royal battle in the V35 between Mourne’s Willie Marks, Bryan ‘elbows’ Magee from Larne and our own Mark Kendall. Brendan O’Hagan will face a continued challenge in the form of Dominic ‘mad dog’ McGreevy in the V-55 category (though I am convinced that McGreevy is a lot older than he looks – apparently he had a very tough paper round!) while Stewart Cunningham should be comfortable in retaining hisV-60 title. Hopefully the ever young John Adgey is training harder than ever to wrestle back the title taken from him by Fred Strickland in 2012. The Hill and Dale series offers something for everyone and while the focus thus far has been on the ‘elite’ athletes; each and every category is hotly contested and every place in each race important to those vying for them. Participation in the series in 2012 broke all previous records and it is fantastic to see such huge numbers travelling from the length and breadth of the province to take in the spectacular scenery, insofar as that is possible while traversing a rocky precipice, and test themselves in these wonderful races. Most hardened Hill and Dalers will tell you that it is not the winning, but the taking part that counts; knowing that you have gone where few boldly go is sufficient satisfaction and gratification for many. There is also a great camaraderie among the increasing numbers of loyal supporters who turn up each week to watch their favourites and avail of the many excellent vantage points to watch the action unfold – tay, coffee, biscuits and sweets usually appear and there is always a great atmosphere at base camp. The evening always ends on a high with a bit of light super in one of the many excellent pubs in the area, where if you are lucky you may get a spot prize if you are lucky and a slating from the man with the microphone if your racing indiscretions are found out. There are even allegations that ‘the Bard of Strangford’ is bringing his guitar to lead a bit of chanting in the pub – heaven help us all if that comes to pass!!! Building on the outstanding success of the Newcastle AC Junior Club and the McGrady Financial Service Cross Country Series, we are delighted to continue Junior Hill and Dale runs for a second year. These three events are once again sponsored by Toscano Pizzeria and begin in Castlewellan on the first night of the senior series. The three events afford an opportunity for all children to enjoy the atmosphere and excitement of a Hill & Dale evening while getting some exercise at the same time. The organisers are keen to point out that these races are primarily fun events to introduce junior athletes to the world of forest running. The runs start at 6.45pm and will be completed with time to spare which enables the juniors to spectate and see some of their coaches and heroes in action. The entry fee of £2 is payable at each race. Parents are asked to ensure that children arrive in plenty of time to register and warm up and to be mindful of the fact that car parks are usually busy from 6:15pm onwards with many competitors in the senior races travelling directly from work. Runs are open to all juniors Primary 5 and above. You do not need to be a member of a club to compete. The series begins on 11th April and runs for eleven Thursdays, culminating in the now traditional last night celebration on Friday June 28th. Further details are available at the Newcastle AC club website (www.newcastleac.org), where online registration for the series is now live. Competitors are advised to complete this form prior to registering for their first race as this will speed up the entry process. Athletes are also reminded that entries will close at 7.15pm sharp and that the regulations regarding health and safety are non-negotiable. Note: Details on the races can be found in the events section.